Silva got his head underneath Leroy Sane’s cross from the right two minutes later and looped the ball up and over Cardiff goalkeeper Neil Etheridge and in at the far post. 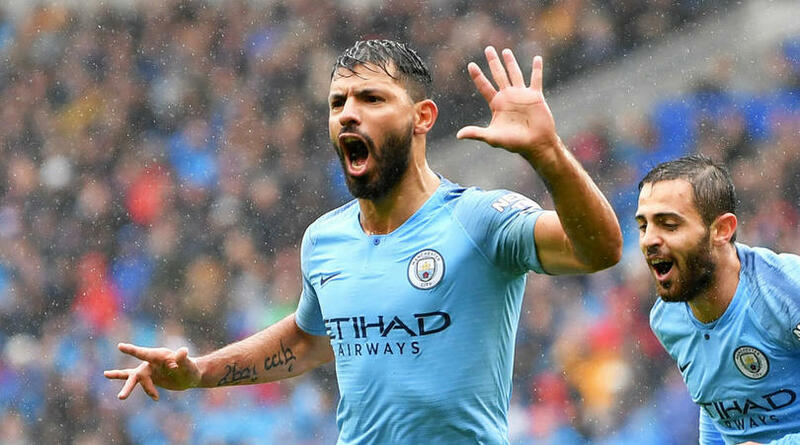 City’s dropped points against Wolves last month is what separates them from leaders Liverpool, who have a 100 per cent record, but being in the chasing pack can offer a psychological advantage – especially if your team is playing the way the champions did against Cardiff. After being caught up Germany’s torrid World Cup campaign, Gundogan has played himself back into form and his intelligent movement and exquisite touch were too much for Cardiff to handle, not to mention his superb goal. Cardiff’s wait for a first win of the season goes on and they have conceded 12 goals in their last three Premier League games. Bluebirds captain Sean Morrison might have been helpless to prevent Aguero and company in such fine form, but he must rally his troops and help Neil Warnock grind out some results soon. There is no let up for Cardiff, who face fellow strugglers Burnley at home before travelling to Tottenham, while Manchester City can look forward to what should be another three points when they meet Brighton and Hove Albion at home after their League Cup clash with Oxford United.